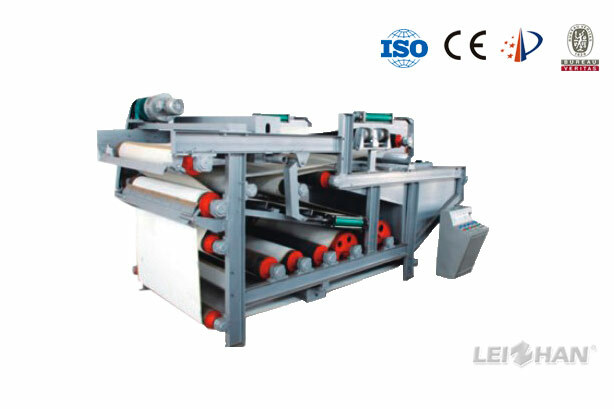 Paper Making Equipment-Sludge Dewatering Machine for Sale, Sludge Dewatering Machine for Paper Mill. Sludge Dewatering Machine mainly used to concentrate sludge in paper making industry, the quality of machine is good, cause we compamy leizhan has 38 years in paper machine making. A new sludge dewatering machine will improve the work efficiency of whole paper making line, and save the working time, why not buy a new machine for your paper mill? 1. The sludge dewatering machine’s concentration of input pulp is 1.5%-4%. 2. The sludge dewatering machine’s concentration of output pulp is 20%-30%. 3. The sludge dewatering machine’s pressure of washing water ≥0.5.